In the late 1990's local folk music aficionados began to find each other and some began playing together casually. In between songs the conversation turned to a relic from the 60's, a coffeehouse. As a result, in 2000, after summer music was over, the Traditional Music Coffeehouse was born and located at Trinity Episcopal Church in Lexington. Open mic concerts began in January of 2001 and a number of talented local players showed up, along with a warm and friendly audience. 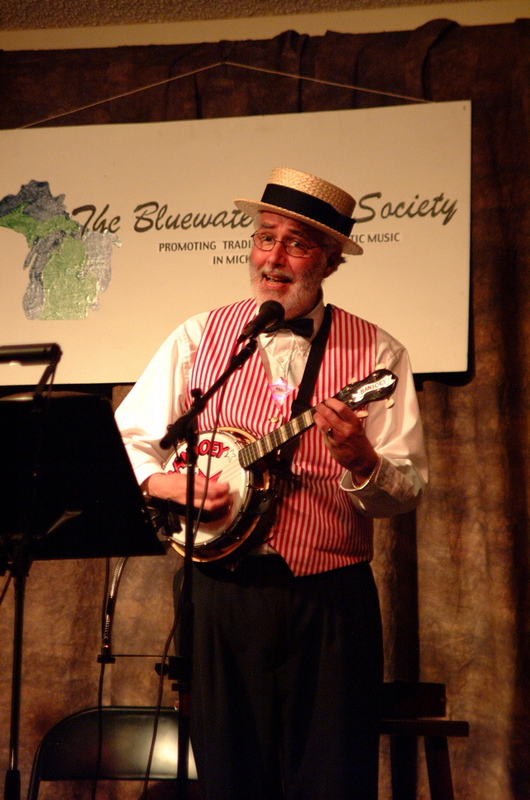 To provide a framework for these events, the Blue Water Folk Society was also founded in 2001. This coffeehouse continues today and currently features six open mic concerts on the second Saturday of each month from October through March. Professional concerts have occasionally been added on the fourth Saturday of some months.